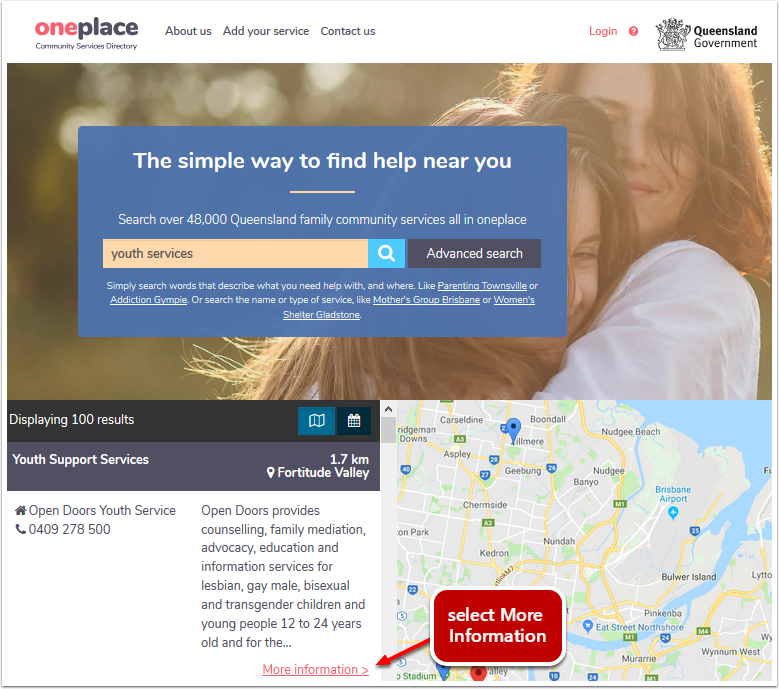 The oneplace Community Services Directory allows all users to report incorrect information with a listed service. Report an error is available to all users. If you see an error with any service, you can report this by first locating the service you wish to update. Once you have the service displayed in your results, select More Information >. 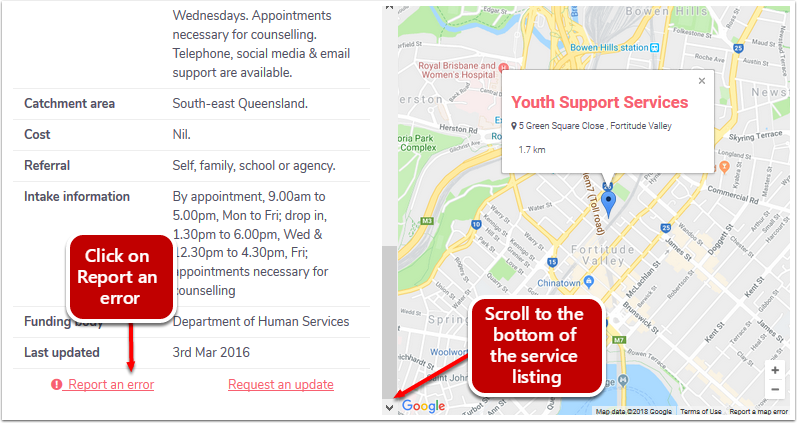 Scroll to the bottom of the service details where you can see the last updated date. Note: Report an Error is available to all users. 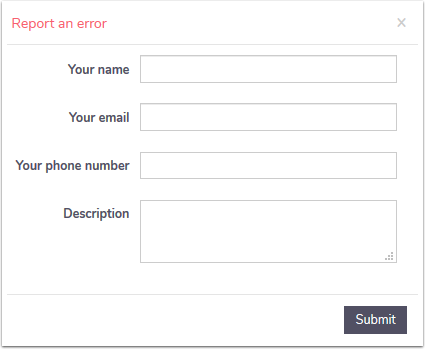 Complete the Report an error form & submit. Note: the changes will not be reflected in the directory until the information has been reviewed and approved by the oneplace Community Services Directory administrators. The service may be contacted for confirmation of changes requested.